A charity who trademarked a name used by a cartoonist for 30 years has now asked for payment from the artist. 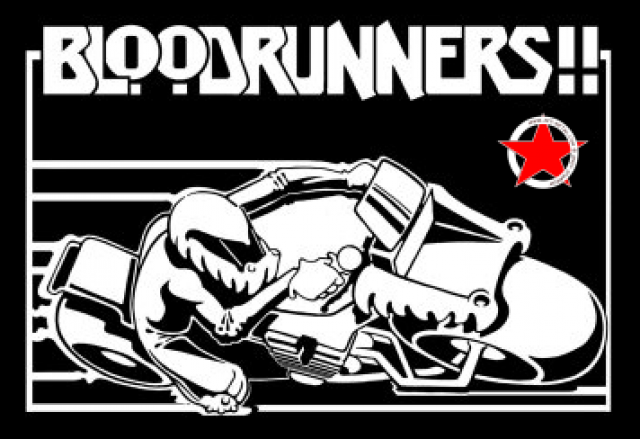 Cartoonist Andy Sparrow has been told he must take down his website and stop selling T-shirts with ‘BloodRunners’ printed on them, even though he coined the phrase decades before the charity was formed. The charity, the Nationwide Association of Blood Bikes (NABB), which delivers blood to hospitals, trademarked the name ‘Blood Runners’ in 2010. Sparrow has been using it on cartoons since 1983. I'm following up on your email to Midland Freewheelers (below), you may remember me - we exchanged a few emails when we registered the trademark 'bloodrunners' for clothing. Do you recall? At that time you were going to transfer the Bloodrunners domain to us but that kind of fell apart. Anyway, things have moved on (as they do) but we do now own the trademark so technically you can't sell t-shirts using that name. Happy to discuss a royalty deal or if that's going to prove complicated a one off fee would work just as well, any monies we receive will go to the blood bike charities. Andy: I’ve been selling Bloodrunners clothing for the past 30 years Gordon. So you’re a bit late. Everyone knows I coined the term, which you have seconded. You can try and stop me now but I think you’ll do yourself more harm than good. Gordon: What are you being like that for, who was looking for a fight? Not me. And I don't appreciate your threats either. You should take down the website. Andy: What am I being like that for? Because you just told me you’ve registered MY name and that I cannot sell T-shirts with MY name on them. You weren’t looking for a fight? So you were looking to extort me? If you want to take this further go ahead. No judge would side with your ‘registration’ when I can prove I’ve been in business since 1983. I’ll make sure you spend a lot of money on lawyers first though. Want to retract? or shall we go for it? Gordon Downie has since replied with an apology saying: I do apologise – I acted stupidly, without thinking. I wasn’t criticising your posts – or the posts of others, merely trying to point out that my actions shouldn’t reflect badly on the wider blood bike community. I made a mistake – god knows we all do that – and I know I made a mistake. I handled it badly – ignorant of your history with the cartoon strip, I don’t mind taking the flak, stand up and be counted and all that - but I don’t want to hurt the blood bike cause because of my email to you. It was late, I annoyed you (and you were right to be annoyed) and I acted without thinking - but I retract my email fully and without reservation. And just to set the record straight – fully acknowledge your rights to ‘blood runners’ without reservation. Visordown has asked the charity for a comment.